Two men who posted a YouTube video showing them burning a box of court bundles to the sound of Arthur Brown’s 1968 number one hit ‘Fire’ have been found liable for contempt at the High Court. Daniel Beach and James Bloomfield, accused by a group of unnamed lawyers of a “continuing campaign of harassment via the internet” following the demise of Solicitors from Hell, were not present at the hearing. The High Court granted an injunction last September after it was found that the lawyers had been harassed. However, Mr Justice Eady said last week that Rick Kordowski, founder of Solicitors from Hell, was no longer involved in the proceedings, after “the claim against him settled” following his surprise High Court victory in December. Eady J said he ruled last month that applications to commit Mr Beach and Mr Bloomfield for alleged breaches of court orders should go ahead in their absence, after he was “satisfied that they had chosen not to appear”. Mr Beach was named as the first respondent and, following Mr Kordowski’s departure, Mr Bloomfield the second respondent. The judge made it clear that the burning of the bundles was not “relied upon in itself” to support the contempt applications, because the grounds predated it, but it was legitimate to “have regard to this evidence” in determining whether it would be appropriate to proceed in their absence. Delivering judgment in QRS v Beach and another  EWHC 1489 (QB), Eady J said the claimant was a solicitor “who sues not only on his own behalf but also in a representative capacity on behalf of a number of ‘protected parties’, in respect of what is alleged to have been a continuing campaign of harassment via the internet”. Mr Justice Eady said QRS needed to establish the conduct relied upon “to the criminal standard of proof”. The first application made by the claimant, dating to December 2014, alleged that Mr Beach had breached an interim order made by Mrs Justice Slade in August that year. 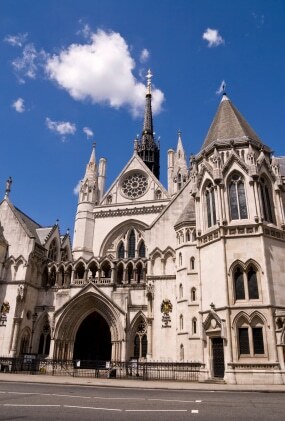 The second contempt application related to breaches of the final order made by Mr Justice Stuart-Smith in September 2014, alleging that both respondents had breached the order and were liable for criminal contempt. Having considered 13 grounds for the first application, mentioning 11 different websites, Eady J concluded that in each case the grounds were proved to the criminal burden of proof. In the same way, he concluded that four grounds for the second application were proved and that “both respondents were liable for contempt of court on the grounds alleged”.